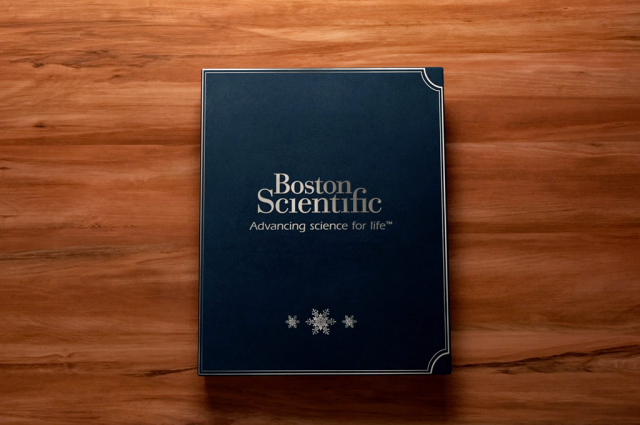 Our client Boston Scientific asked us to design and develop a customisable HTML email template and a one minute animation for self-distribution by the European staff during the festive season. 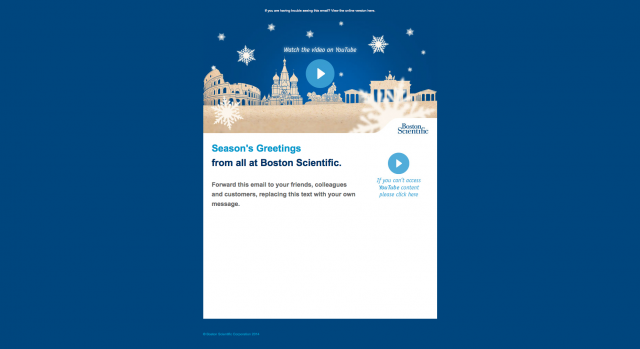 The simple but editable HTML email template provided the Boston Scientific team the flexibility to modify the HTML email copy by adding a personal message before sending on the content to clients, friends and family. 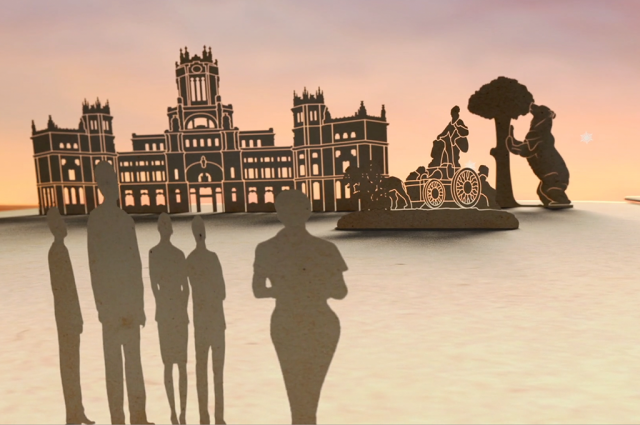 A 3D pop-up approach was selected at the storyboard stage. It enabled a ‘physical’ journey across European teams and landmarks without the need for a map or flight-line approach. 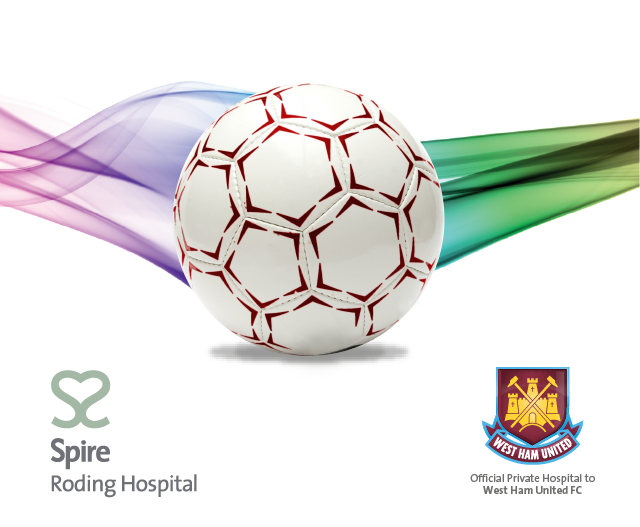 The look and feel brought unity to the message ‘Everywhere in Europe’ and allowed for a nod to christmas without overt use of colour or icons.